After Furious 7 received positive reviews and shattered box-office records during its theatrical run, one would expect that Universal would have no problem keeping the gears of their mega franchise well-oiled as they look towards the future. However, that wasn't the case recently when it was reported the studio was having issues locking down a director for the upcoming Fast and Furious 8, which already has a 2017 release date planned. The main issue, allegedly, was series star and producer Vin Diesel, whom Universal must consult before they make a final decision on a director. In light of these rumors, Diesel has attempted to clear the air to calm any nerves fan might have about there being trouble brewing behind the scenes. Once again, Diesel is confirming that the next film will be the second installment of a new trilogy that's meant to end the franchise. It was previously speculated that the eighth and ninth entries would be shot back-to-back as a multi-part finale event, but things have quieted down on that front lately. Right now, it seems the focus is squarely on making Fast 8 and worrying about what comes next later. The way Diesel is talking in his post suggests the final two films will be separate productions. That might be for the best in the long run, as it will give the filmmakers ample time to develop a satisfying conclusion for a series that has acquired a massive following. The other interesting bit is Diesel's statement that he will reveal the Fast 8 director in his next Facebook post. That would indicate that a decision will be made soon regarding that aspect of the film. However, it wouldn't be wise to get hopes up too high just yet. As he says, nobody has even read a script for the movie yet, so there seems to be a few steps in the process before a selection is made. Based on the wording, he still needs to reach out to potential helmsmen to gauge their interest. It could still be some time before we find out who will be behind the camera for the next installment. It will be interesting to see who Universal and Diesel hire. Justin Lin has achieved quite a bit of success directing films in the franchise, but he is currently working on Star Trek Beyond and probably won't be available. And Furious 7 director James Wan is out of the running as well, since he's making The Conjuring 2 for a 2016 release before hopping on Warner Bros./DC's Aquaman solo film. Since these films rely heavily on jaw-dropping set pieces, it would be wise if they targeted someone who has experience working in the action genre. That way, the series can have someone with a confident hand guiding it towards the big screen, as the hype and expectations will be through the roof after Furious 7. 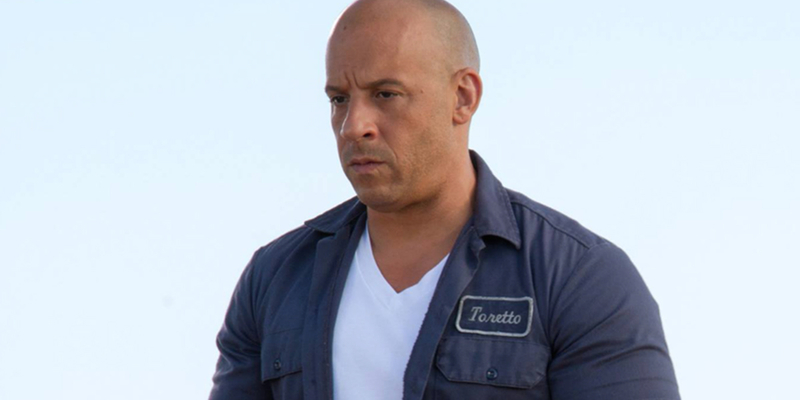 Fast and Furious 8 will be in theaters April 14, 2017.